Home / Wild Bird Fund Flocktail Party: Keep NYC Wild! Wild Bird Fund Flocktail Party: Keep NYC Wild! It’s that time of year again! 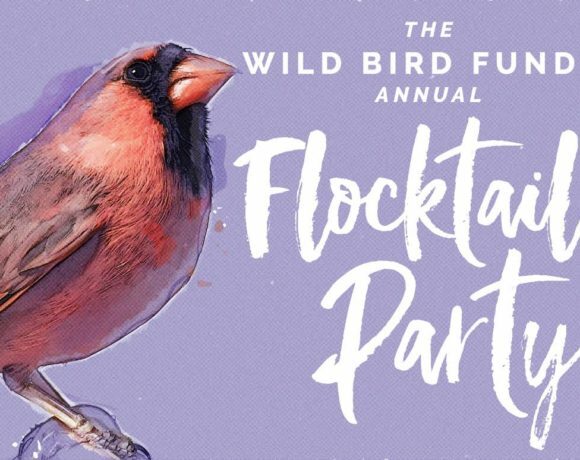 Please join the Wild Bird Fund, New York City’s only wildlife rehabilitation center, for our biggest fundraiser of the year: The 6th Annual Flocktail Party: Keep NYC Wild! It’s a fabulous evening in an exquisite setting: the Carlton Hobbs Gallery at the “Birdie” Vanderbilt Mansion, 60 East 93rd Street, New York City. Fine nibbles and bird-themed drinks. A silent auction filled with gorgeous art, apparel, accessories, meals, event tickets and more. Best of all: Meet a few of our special patients, plus other wild and winged friends. Since our doors opened in 2012, the number of patients treated has grown dramatically, from 1,500 in 2012 to more than 4,700 in 2016. As word spreads, more and more New Yorkers are bringing in distressed wildlife for treatment. So much so, we must expand. Please help us build a new wildlife ER, including an x-ray machine, an operating room, and intensive care units. Your ticket purchase will directly supply critical funding for medical supplies, food, equipment and operating expenses. You can help give New York City’s wildlife the fighting chance it needs and deserves. Together, we will Keep NYC Wild!